The Samasati Nature Retreat is a Caribbean Hotel Lodge built at the heart of a 250 acres Private Biological Reserve, overlooking the ocean and only 6 miles from Cahuita National Park and its wonderful beaches. In operation since 1997, this unique Hotel Lodge has been one of the first in Costa Rica to promote the concept of Eco-Tourism and Sustainability. Guest are accommodated in Private Cottages, Classic Rooms with shared bath ( Full, Queen or King size beds) or beautiful fully furnished and equipped two-three bedroom houses with kitchen. The restaurant overlooks that Caribbean and serves three vegetarian meals per day. 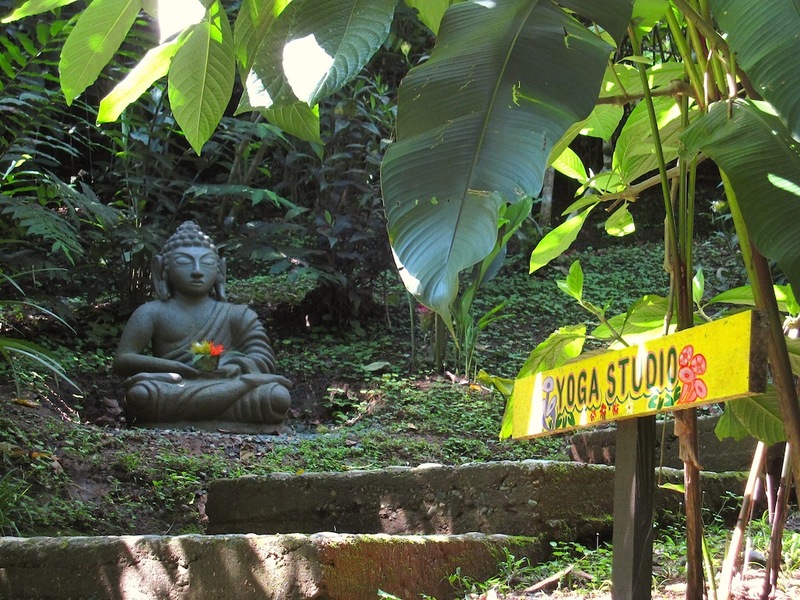 Two Yoga studios are available for daily classes and trainings or retreats. Guests can enjoy warm soak in a large hot tub with great views. The 250 acres Samasati Biological Reserve is open for hikes- several trails take you to waterfalls, rivers and you can observe wildlife and the numerous plant speacies caracteristic of primary rainforest. Yoga Packages and Special Offers. Vacation is the perfect opportunity to start your Holiday Season or the New Year 2014 on a “Healthy & Adventurous Foot” – definitely “Healthy & Adventurous Living” can be your New Year Resolution! Our resident yoga teacher, Stephanie McKenzie, will design an individualized private exercise/yoga session for you, a sequence that you will be able to use every single day of your life. Following this vacation, Stephanie will offer three months of online support via email and Skype to help you bring exercise, yoga and an adventurous & positive attitude into your life. A Yoga vacation in the Caribbean during the winter months is a must for every woman that wants to stay healthy and enjoy life. It is important sometimes for women to be together, to support each other and be with themselves at the same time, like only women can do. 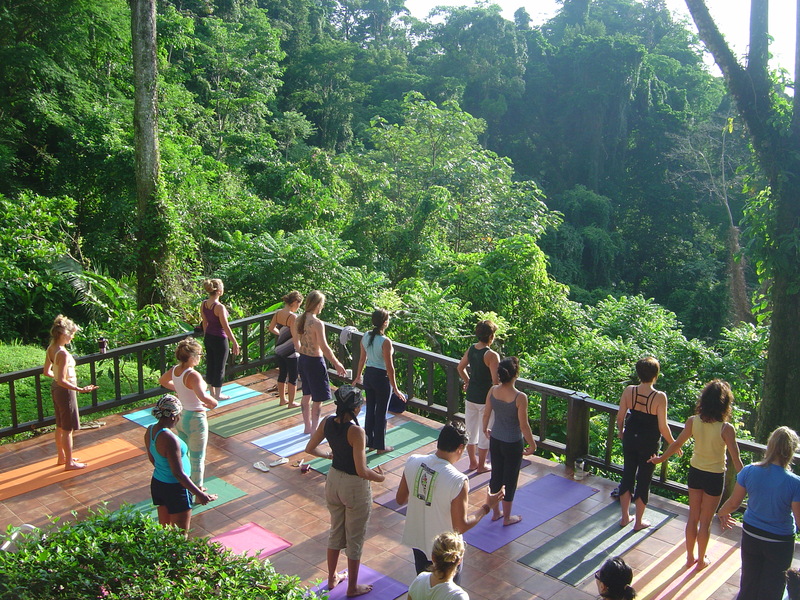 Yoga classes and other interesting learning sessions, simple rituals, excursions together at the beach and in the jungle. All this will be fun and will give you the opportunity to relax and let down as we often don’t have the time to do in our busy every-day-life. After this vacation, you will return home renewed, rejuvenated, recharged and in a really good mood! 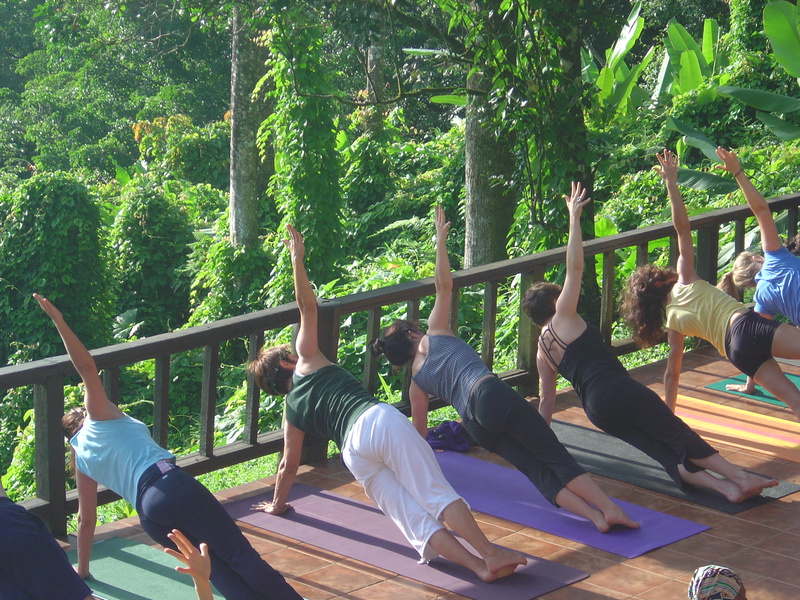 Join Samasati’s resident yoga teacher, Stephanie McKenzie, as she guides you on an adventure of a lifetime. Yoga, Breathing, Ayurveda, Lifestyle Designing, Women Rituals. A Romantic Caribbean vacation with your loved one, partner or friend. Directions to Samasati Nature Retreat. Samasati Nature Retreat is situated on the Southern Caribbean Coast of Costa Rica, 4 miles away from Puerto Viejo and Cahuita, 130 miles from the capital. 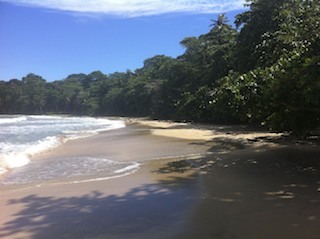 Depending on your arrival time in Costa Rica, there are different options to travel onwards to Samasati Nature Retreat. The airport where you will fly into is: San Jose International Airport (SJO). Direct public buses run daily from San Jose’ city to Puerto Viejo. They can arrange for you to be picked up at the airport by a taxi and taken to the public bus station. The total cost is approximately $ 40.00. If your flight lands after 1:00 pm, we suggest you to spend the night in San Jose’ and catch the following morning a semi-private minivan (Interbus) which leaves the city at 8:00 am. The cost is $ 45.00.